A creeping perennial about 6 inches high can be used as ground cover. 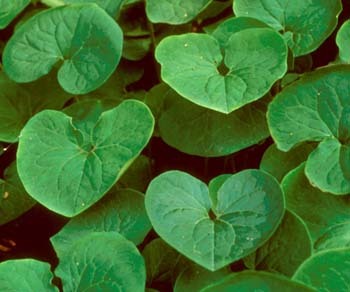 Wild ginger does well in moist areas, it likes moisture and can tolerate damp soil almost as well as wild geranium. Its leaves are heart shaped and its flowers are maroon. Although small, they are quite pretty with urn shaped blooming April-May. The root is aromatic and smells like ginger, its roots were used by American Indians for medicinal purposes and is still used somewhat today. 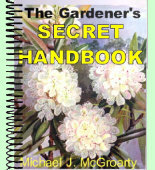 Its range is rich woods from Canada to South Carolina and west to Okalahoma. Plant roots 1-2 inches deep and mulch.